This is a story about love. It’s about love for driving. It’s about love for adventure. It’s about love for family and each other. It’s a story about love for the environment and a sustainable future. This is a story about love for the freedom to move between points A and B and appreciate the journey. ** NOTE: I know that I’m very fortunate to have had this experience and be able to afford these vehicles. I share it because I think it’s meaningful to understand just how much electric vehicles can impact our everyday life. 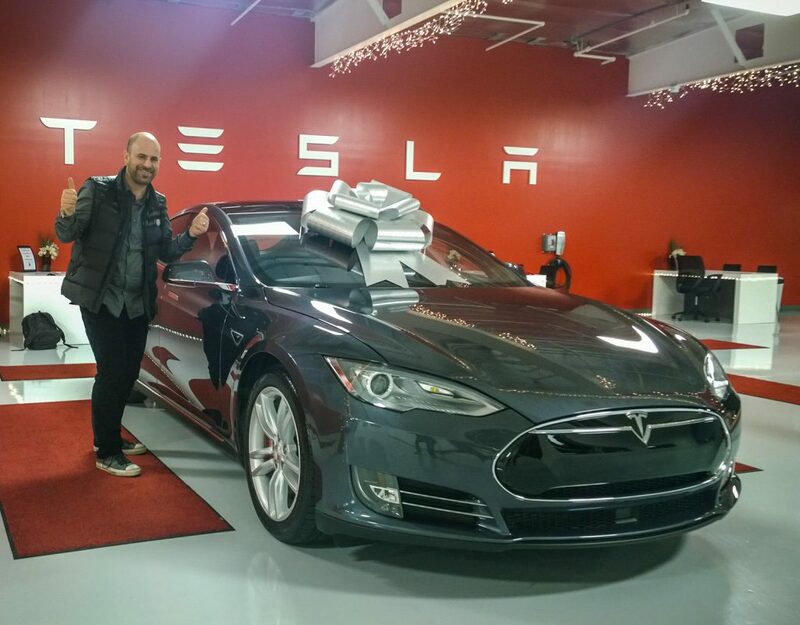 Today marks the 5 year anniversary of taking delivery of my first Tesla vehicle. It’s been 5 years and more than 100,000 miles of smiles. My last post about Tesla was the beginning of this journey and ended with a feeling of anticipation and excitement, knowing that I’ll never own a fuel-powered vehicle again. There was no turning back then; now with resolve, more than ever, I know that EVs are our only future for transportation. 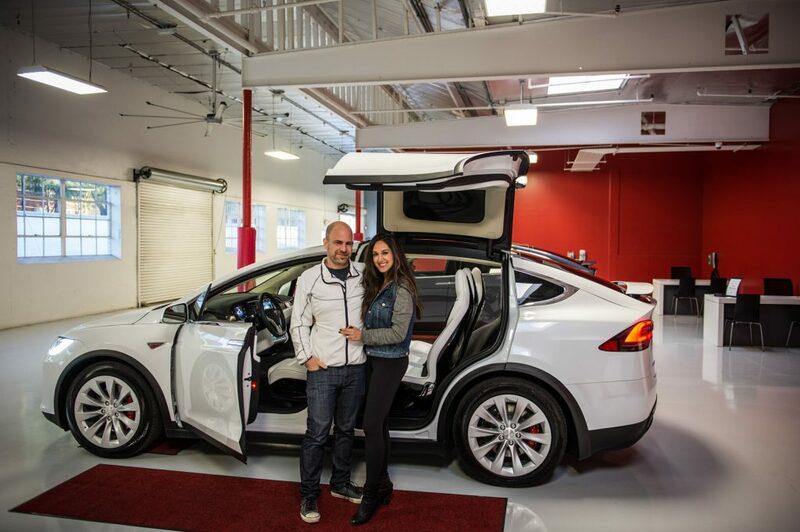 So join me down the road of my love story with the Tesla Experience. I knew that this would be the last time I used a gas pump for my primary vehicle, and wanted to mark the occasion. My son Jack turned 9 on that day, so we had 2 reasons to celebrate! 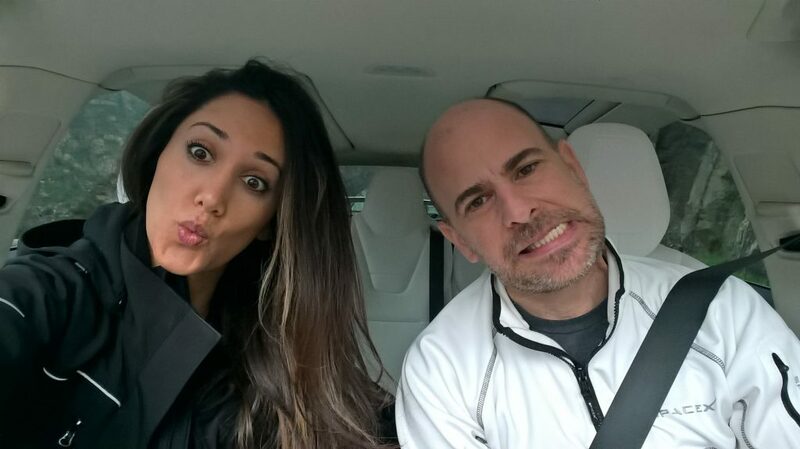 My wife Sima and I flew into Oakland airport and took a taxi to the Fremont factory to get a tour and pick up my first Tesla, a black Model S 85. The Tesla staff treated us so well. They really appreciate and value their customers. They did back in 2013, and they continue with a culture of outstanding customer service still today. 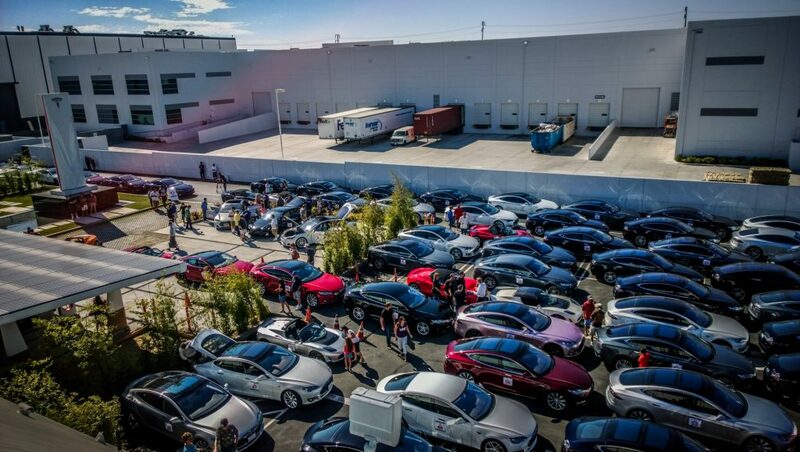 Imagine this… Imagine if every one of these vehicles were electric. It would be so quiet and clean. It will be incredible because it WILL happen. It’s not a matter of “if”; it’s a matter of “when”. 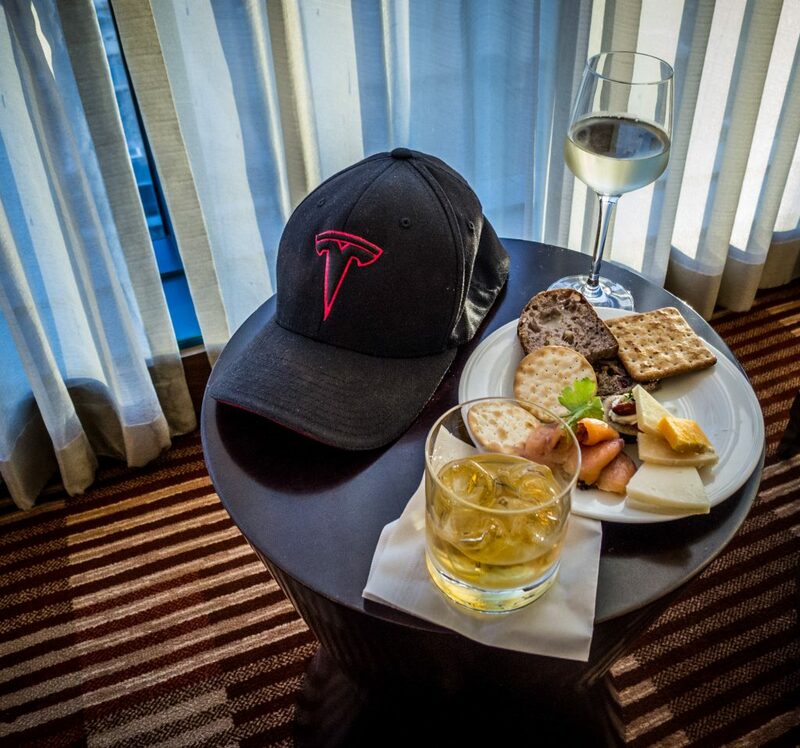 I used to wear my Tesla hat so much I wore it out. Here it is still looking reasonably fresh. My first of many pictures where my Tesla has posed so well for me. 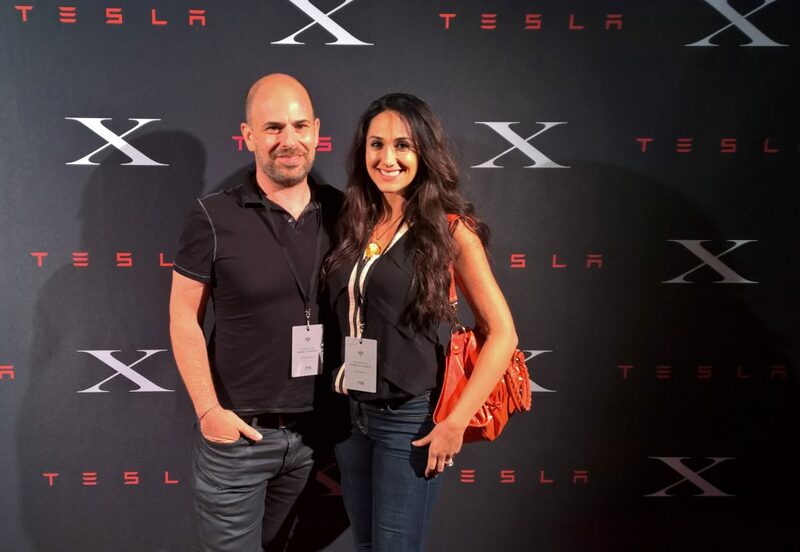 In September 2013, we attended the first and only Los Angeles Tesla Rally, where over 100 Model S owners started at the Tesla Design Studio in Hawthorne, caravaned through a police escorted ride through the city and ended the ride at the Petersen Automotive Museum. 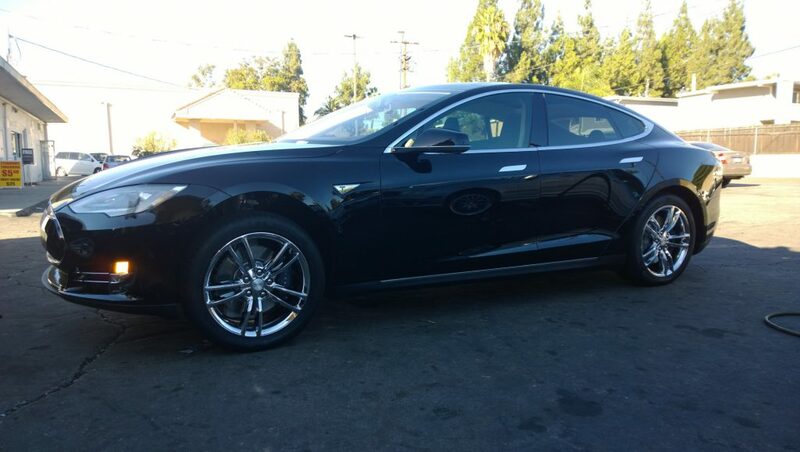 A few months later, I decided to “upgrade” the wheels to chrome, to give my Model S a more distinctive look. In hindsight I probably wouldn’t do it again – but at the time I really liked it! 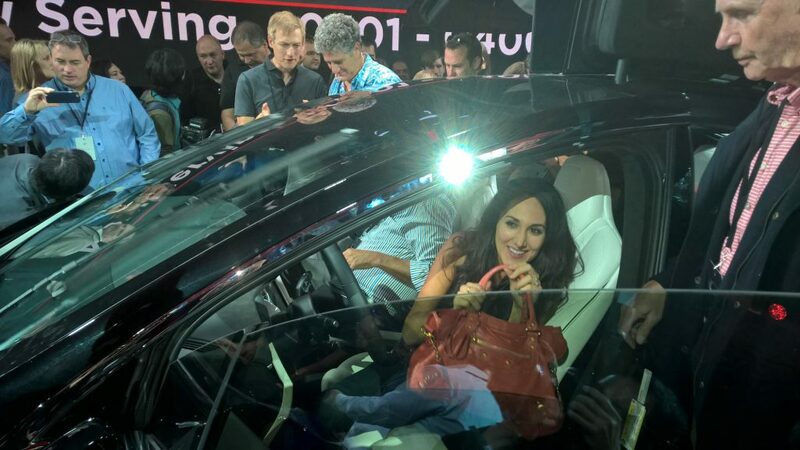 Sima stepping out of the Model S is ALWAYS worth watching. You never know what might happen! Tucked away in the garage charging via the Tesla High Powered Wall Connector. I plug in every night, just like we do with our phones. 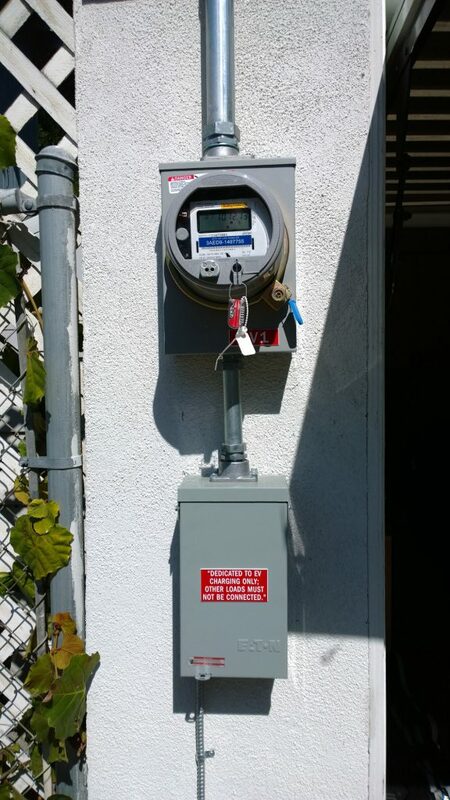 I somehow convinced the electric company to provision me a separate EV charging meter! I’m able to get 80 amps at home, which outputs about 45 mph, so I can go from drained to 90% full in about 5 hours. We like to charge at destination chargers when we can, and more and more are showing up all around the United States and the rest of the world. Because I’m able to charge easily at home, usually when we’re out and about in Los Angeles I don’t do it, and free it up for others. When I first got the car it was a bit more exciting to do it than it is now! It’s become just normal to charge at home – the way it should be. In California, we’re obligated to display a front license plate. 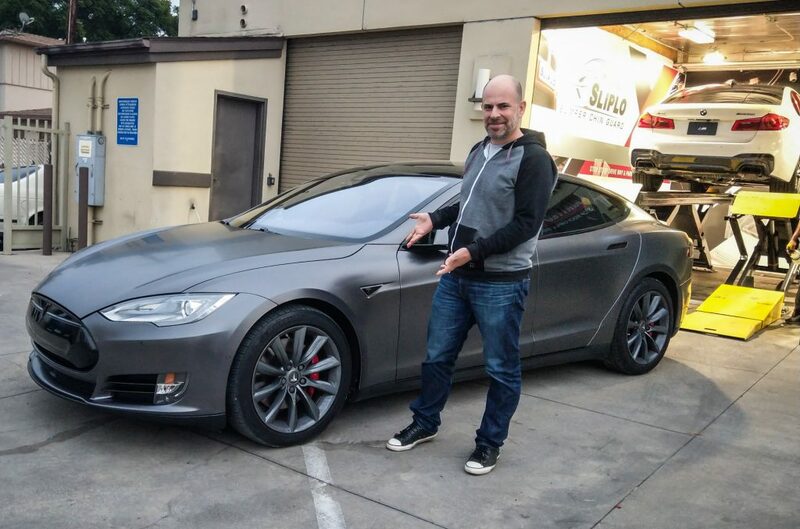 Most Tesla owners don’t like to and pretty much ignore that law. I created a technique to be able to quickly mount / dismount your plate via magnets and posted the procedure on the Tesla Motors Club forums, so when you park somewhere where they enforce the violation, like in a city public parking lot or street, you just open the frunk, pop it on, and you’re good. You can drive with it, too. We’ve traveled all over the Western U.S., from Los Angeles to as far north as Portland (twice), countless trips to the Bay Area, and quite a few throughout Arizona. 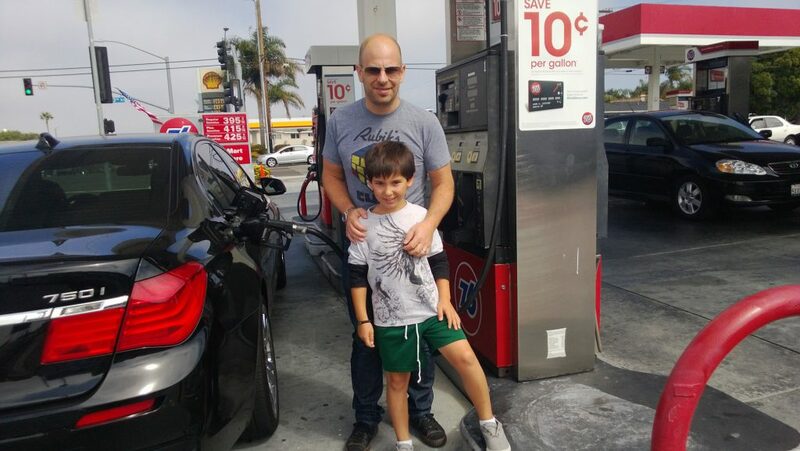 I’ve visited 46 Super Chargers in 5 years (yes, I keep a list). I’ve cut it close a few times – and fortunately have never suffered running out and being stranded. A Supercharging stop is always an excuse to take some photos of what’s around you – or the obligatory Sima Selfie. Split screen Nav + NFL = All you need on the giant touch screen. 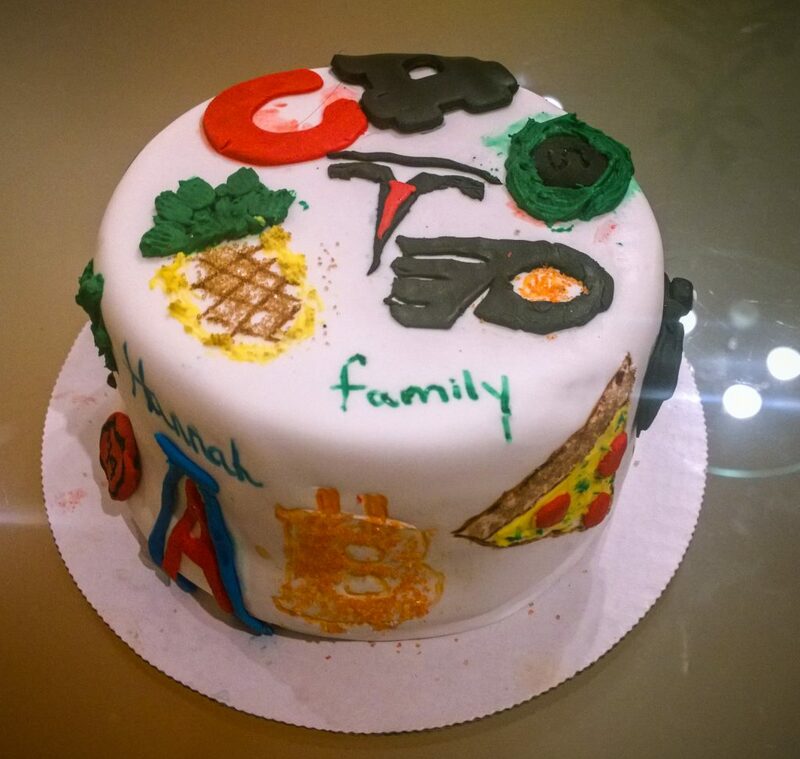 One birthday, my family made me a cake with some of my interests and passions. Among them Bitcoin, the Philadelphia Flyers, the C# programming language, and top-center, Tesla! 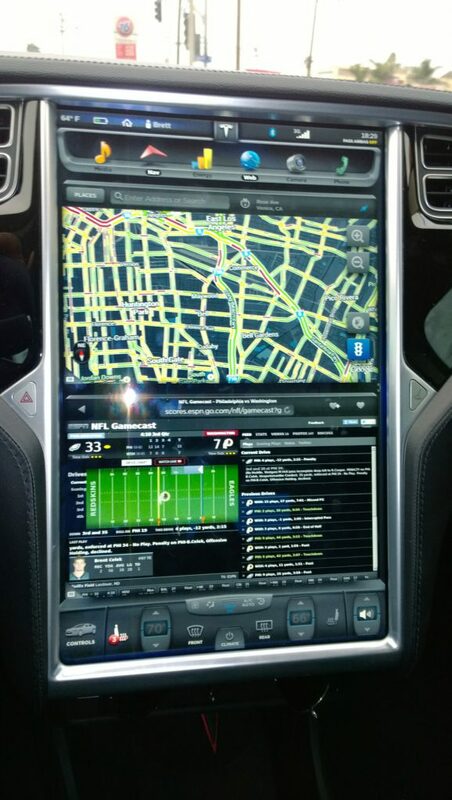 In October 2014 I headed to the big event in Hawthorne where Elon decided to “unveil the D” – and after seeing the autopilot demo, I was sold. I ordered my second Model S that night. This time in Grey. 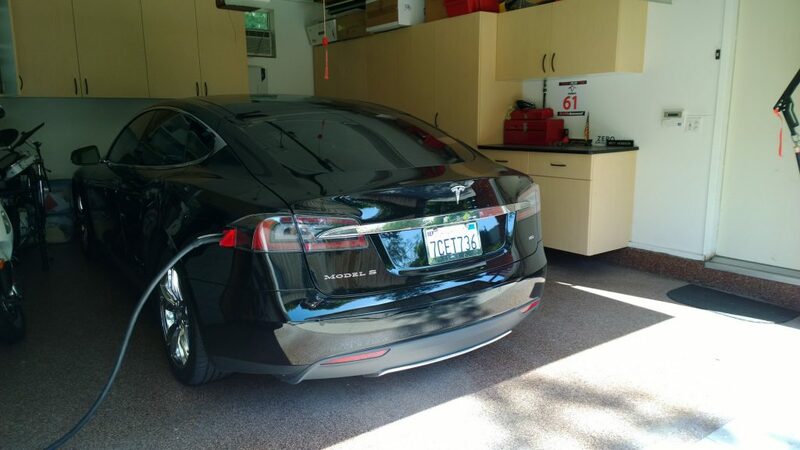 I traded in my Black Model S and in December 2014, took delivery of one of the very first P85D configurations! My first “Insane Mode” launch was INCREDIBLE! The next week, I upgraded the wheels to the aftermarket TSportline edition. I love how they match so well with the grey body and they look like factory quality stock – understated. The Model S is a truly beautiful, timeless design. 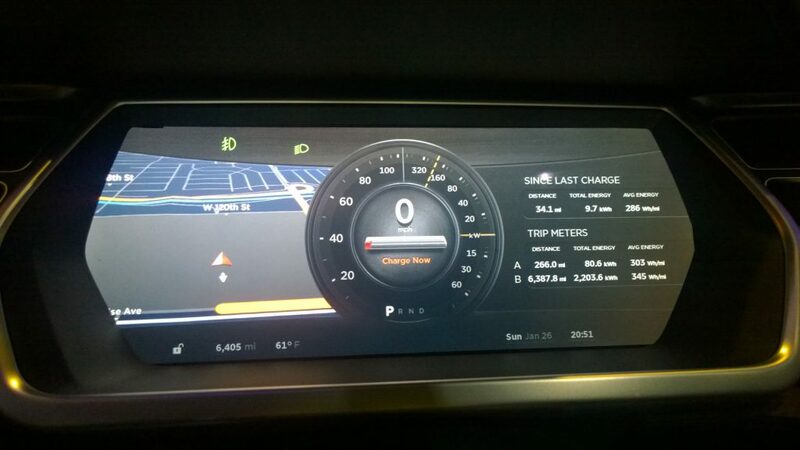 People often ask me what my favorite feature is, and I say – besides the zero emissions, linear torque, head snapping acceleration, giant and intuitive touch screen – my favorite feature has to be that there is no on/off (start/stop) button. The absence of a user interface is the best user interface – and Tesla recognized this early and made that brilliant decision to not put something in the vehicle that isn’t inherently necessary. Less is more. 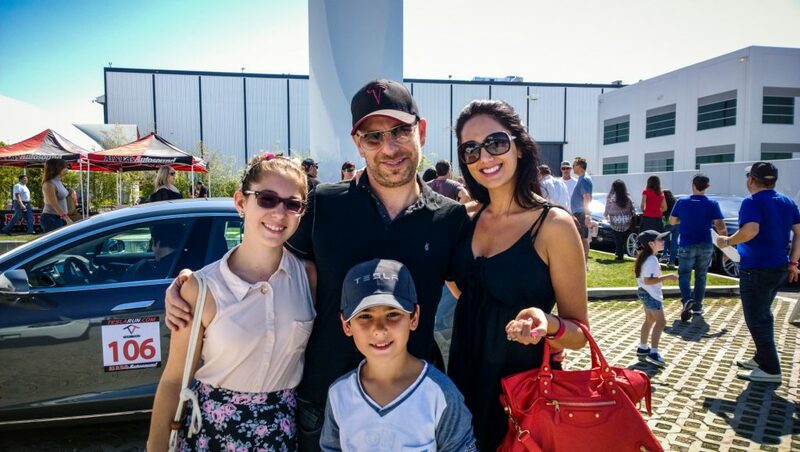 Now – Sima’s turn to be a Tesla owner. 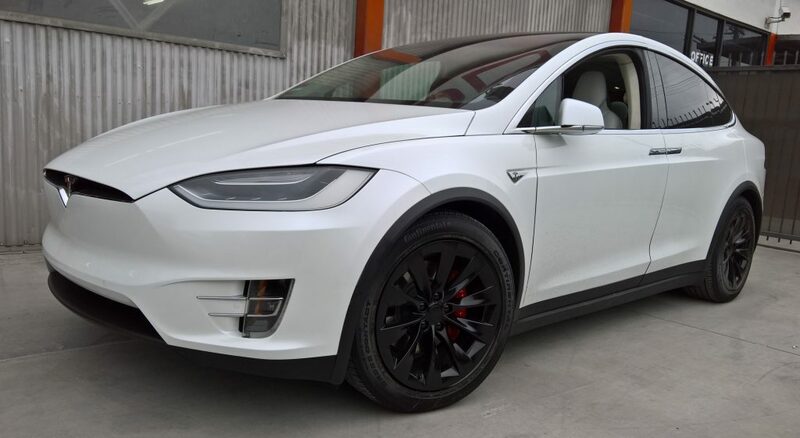 Enter the Model X! 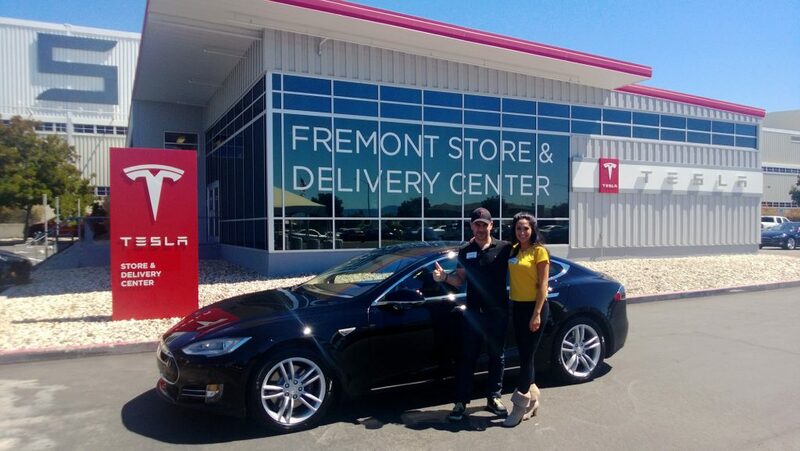 In September 2015, Tesla had a big event in Fremont to show the final production Model X. We had reserved a “Signature” (first 1000) and we’re super excited to attend. 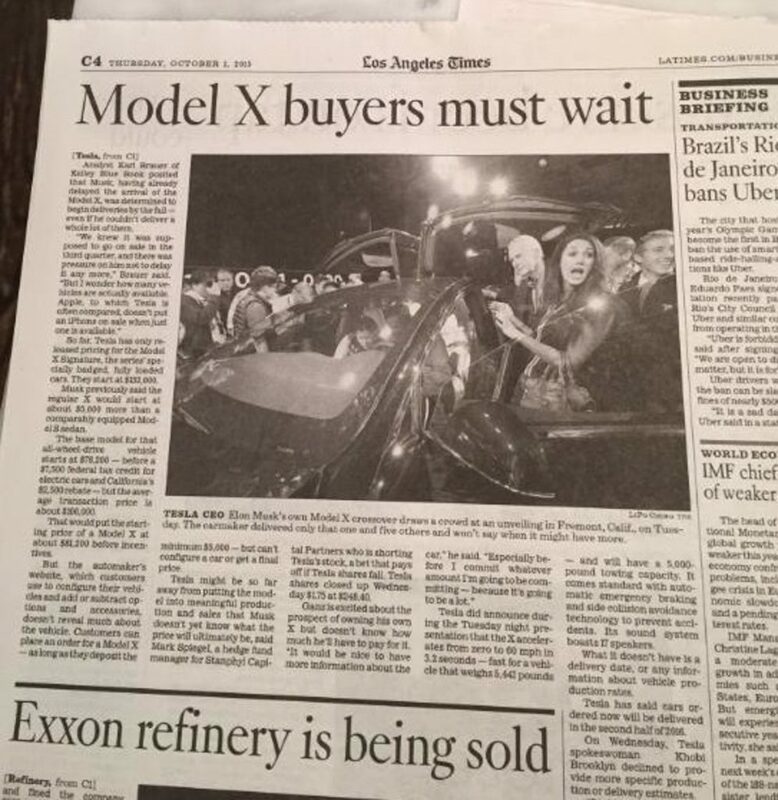 Sima ended up making it into the LA Times and the San Jose Mercury News on a feature covering the event! 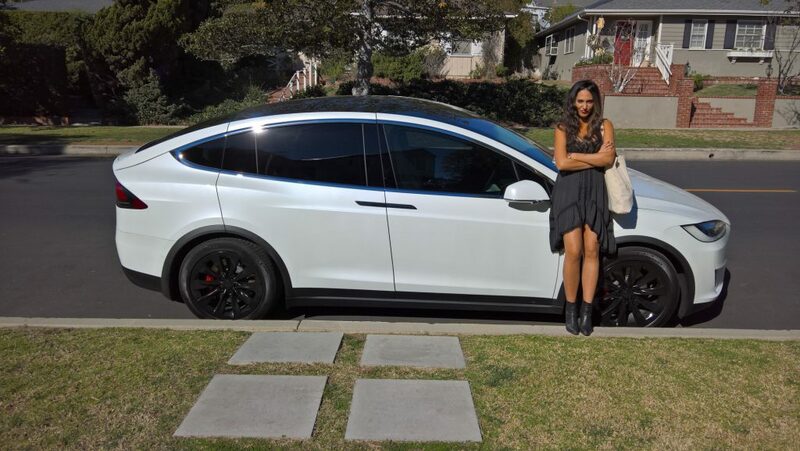 In January 2016, we received a phone call from the Tesla Centinela service center, letting us know that her Model X was ready for delivery – one of the first – and a rare “triple white” configuration. Shortly after, I had the wheels plasti-dipped to black. I wouldn’t recommend it, though. I think it’s better to powder coat or purchase wheels already the color you like. 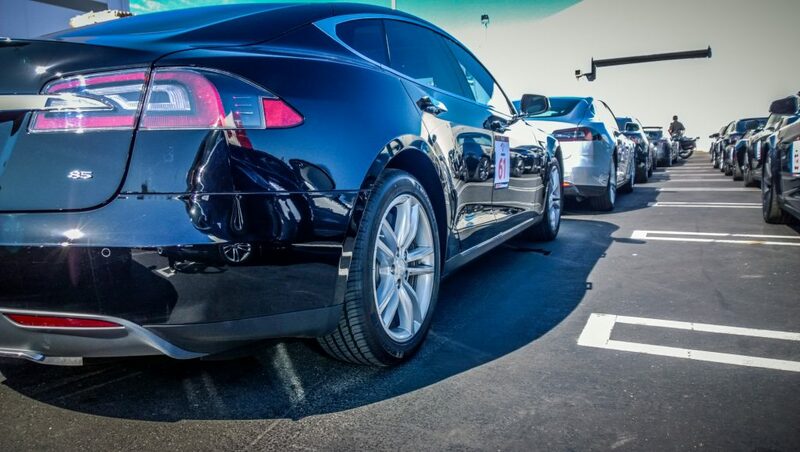 Either way – I think black wheels look orders of magnitude better than the stock silver. ABG = Always Be Goofin’. 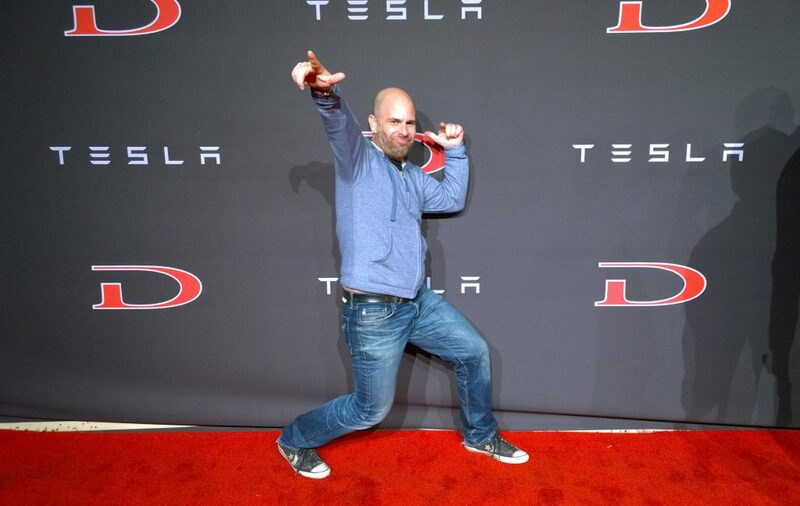 We really could talk about Tesla all day – and I often do. This was during a ride up the Pacific Coast Highway. I added front and rear dashcams to both cars in 2016, and really recommend them. I caught a valet driver banging my right rear fender into a post. I noticed the dent the next day, and I confronted the valet company manager. He denied it – saying that the valet claim ticket had a drawing on it already showing damage. When I showed him the evidence, he profusely apologized and his insurance handled the repairs. I wrote this dashcam program to help people download the footage from their dashcam without having to eject the card or touch it in any way. My colleague kept forgetting to plug his car in when he arrived at the office, and he would have to go running out mid-day to plug in. So I also wrote a program for him that would text him if he was within a certain geo-fence, unplugged, with his remaining battery level below a specified threshold. This saved him lots of time! Here’s a mobile service technician replacing the 12v battery. 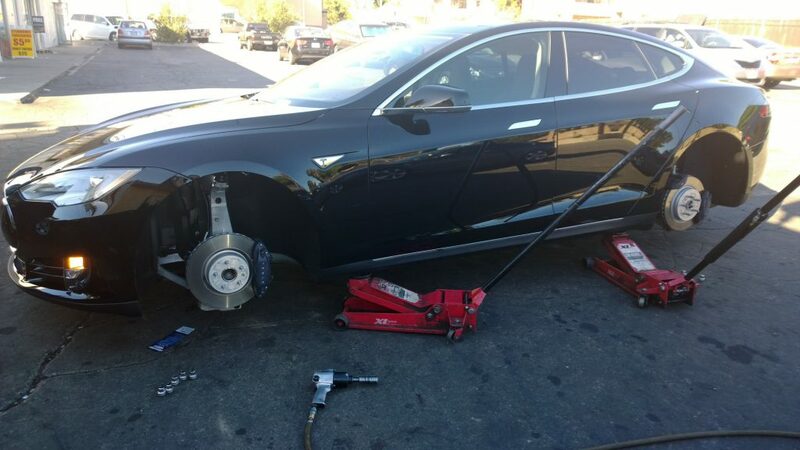 Tesla Service has been absolutely fantastic. 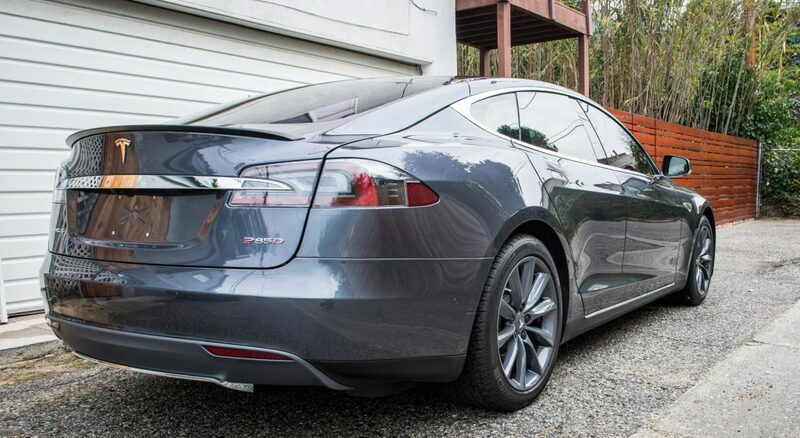 They’ve handled everything, however minor, and have always provided a Tesla loaner. I’ve been extremely pleased with the customer experience. They really back up their product and support it. They are way more than just talk. They back up their words with actions and I could not be happier with the service I’ve received. They’ve set a tone for excellence early in their history and I expect that they will maintain it as they grow. 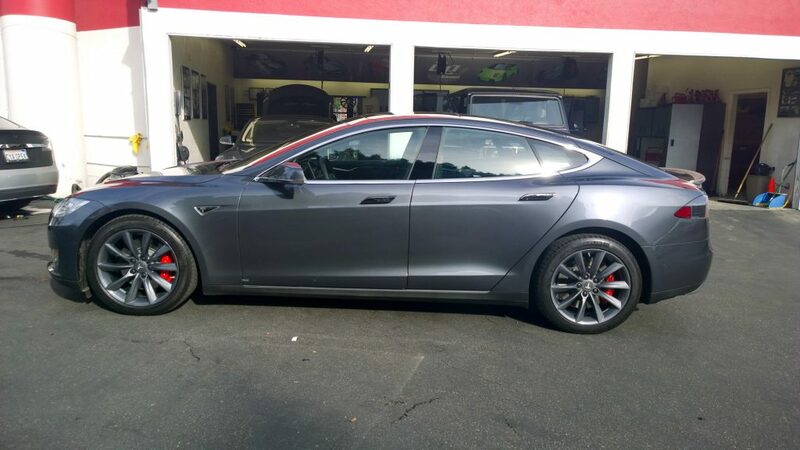 Earlier this year, I decided to give my Model S a fresh look, and had it wrapped with 3M satin space grey and a chrome delete, where they wrapped all the chrome in black. It’s like a new skin for the car and it’s really easy to clean. I like that it makes it more unique, distinctive, and really sleek. 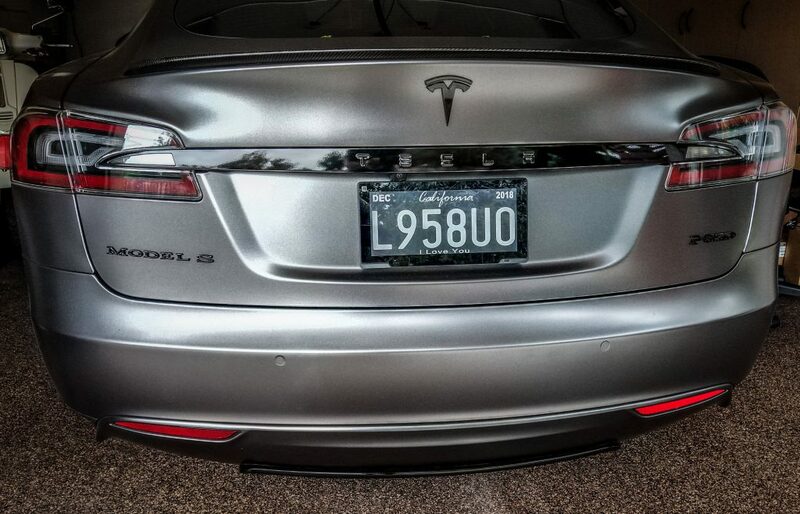 I recently added a Reviver Auto RPlate digital license plate. It’s hard wired to the battery, and the company says will be able to display the HoV (carpool) designator as a small icon in the future. You can choose a message from a pre-set list to display at the bottom. I chose “I Love You” because – why not? The world needs more love. Imagine again… an alternate universe. Imagine if every car were electric now, our roads clean and quiet, and our air clean and fresh. Then imagine if someone introduced a car into which you must pour a smelly, flammable, toxic fluid, burn it, and pump the noxious fumes and smoke out the rear for everyone to have to breathe. Who would want such a car? The answer is obvious. 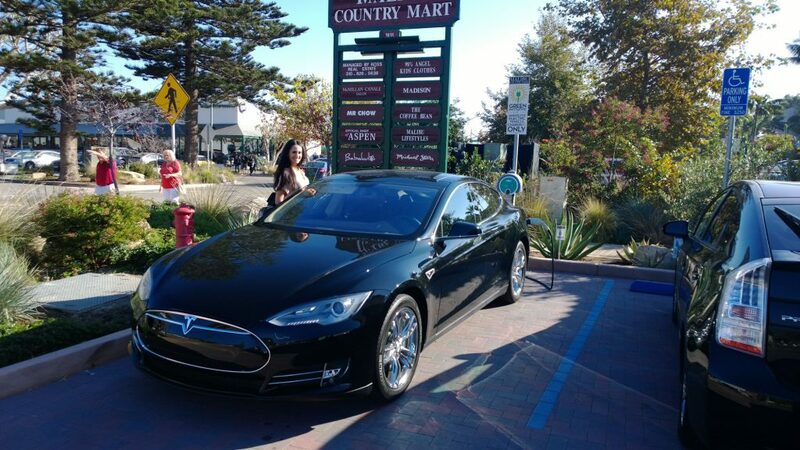 Electric vehicles are indeed our future for sustainable transportation. You can either get on board now and be part of the change, or wait around and be part of the mass adoption. Either way is OK. Tesla will be there and be ready when you are. The Model 3 is the cornerstone of Tesla’s secret master plan and it’s ramping up fast. Autopilot improves every few months and before you know it, Tesla will be the first to offer a truly autonomous vehicle. Driving in Los Angeles and many other places can often be a grind and a chore. I choose to enjoy every moment driving – and make the best of it. With these cars, it’s easy. It makes life that much better. Road trips and daily trips have all become a joy, an appreciation of the journey with every electric mile, and every fuel station passed by.